Democratic New York Rep. Alexandria Ocasio-Cortez claimed that climate change is millennials’ version of World War II during a Martin Luther King Jr. Day event on Monday at Riverside Church in New York City. “I think for younger people, we’re looking at this are more like, how are we saying ‘let’s take it easy’ when 3,000 Americans died last year, how are we saying ‘let’s take it easy’ when the nth person died from our cruel and unjust criminal justice system?” she asked. “How are we saying take it easy, when the America that we’re living in today is dystopian with people sleeping in their cars so they can work a second job without healthcare and we’re told to settle down. It’s a fundamental separation between that fierce urgency of now, the why we can’t wait that King spoke of,” Ocasio-Cortez added. 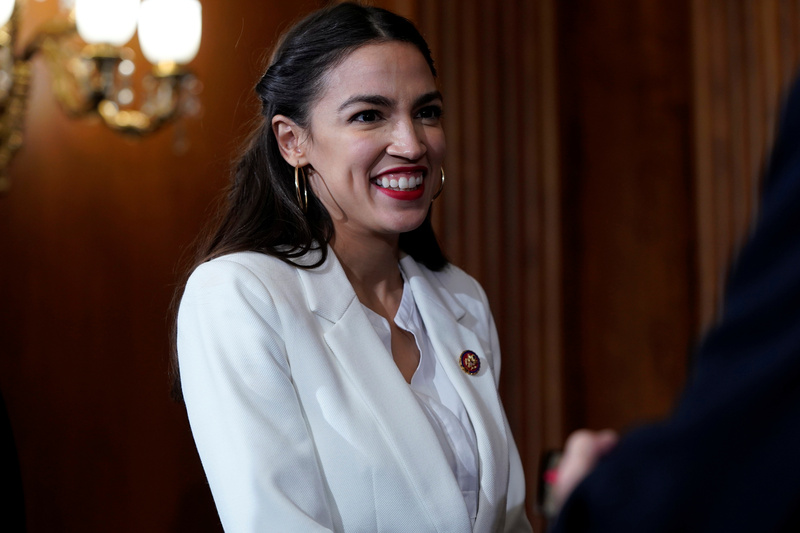 Ocasio-Cortez has expressed her support for the Green New Deal. The deal would require the U.S. to completely get off fossil fuels within 10 years. It also calls for universal health care, basic income programs and job guarantees.